but that was fiction, some coward got the twisted, Like I no longer existed mysteriously missing, although I'm world-wide baby I AIN'T HARD TO FIND"
This is for you tupac, you've inspired me through your music and I wanna pay you back through helping everyone I can, and to keep your dream of a better tomorrow alive. A world without hate or racism, just people kickin' it together living free and never held back. Sweet man. It looks awesome. Did he sing those lyrics? It's like he prophecised his death or something. xD You're the best. You're a GOD. Good job, man. 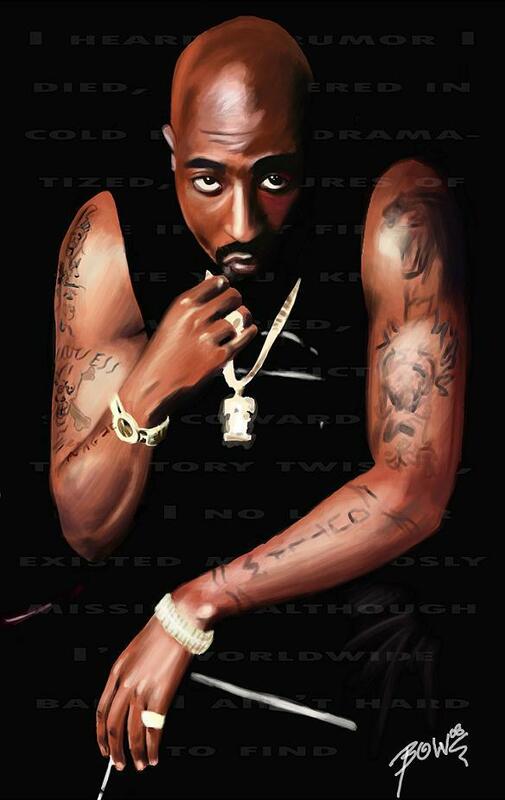 Rest In Paradise, Tupac.